CuteCAD - The right cad for any type of design. 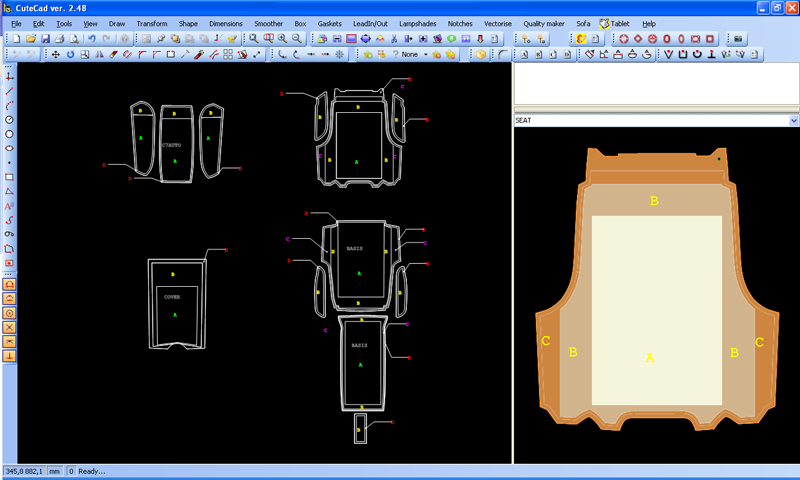 CuteCad is our 2D CAD software designed for all users. No previous experience is required to get started. 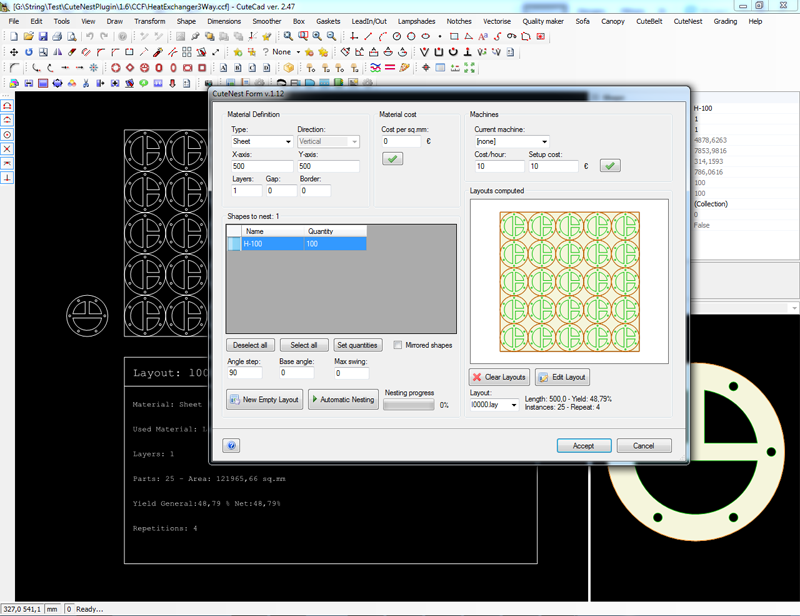 CuteCAD is designed with modularity, extensibility and portability in mind, to speed up your prototyping process and to shorten the time to market of your products. 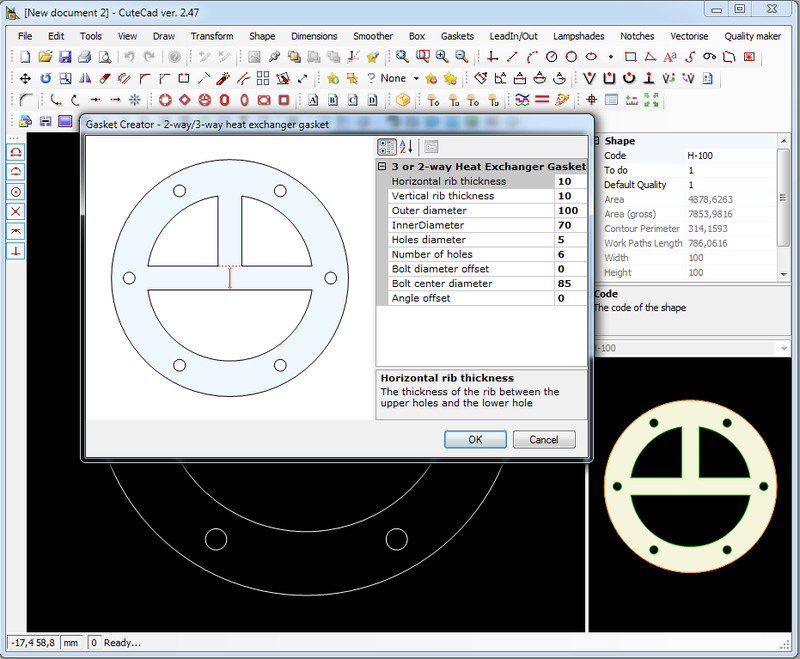 What users most often notice about CuteCad is its simple and intuitive interface. In addition to all the usual tools for 2D drafting, our CAD software provides many other features to help design in an easier, faster and more efficient way. Below you can see the functions that will best suit your needs or alternatively get in touch with us and let us know your suggestions for additional functionalities. CuteCad also exports the shapes to be cut in many formats and allows you to go straight to production on the most common cutting machines. The power of our nesting strategies inside CuteCad. Optimise the material consumption and estimate your costs with the CuteNest plug-in. Complete report sheet will help you analyse the costs and present competitive offers to your customers. 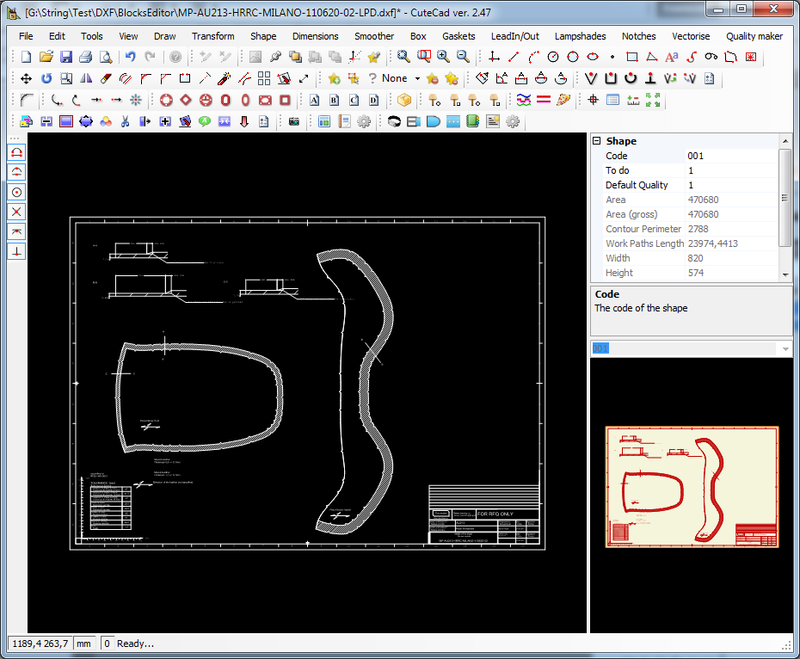 By means of specific plug-ins CuteCad is continuously extended to fulfill your own requirements and add to your CAD program the power you need to fasten the design phase and increase the quality of your products.